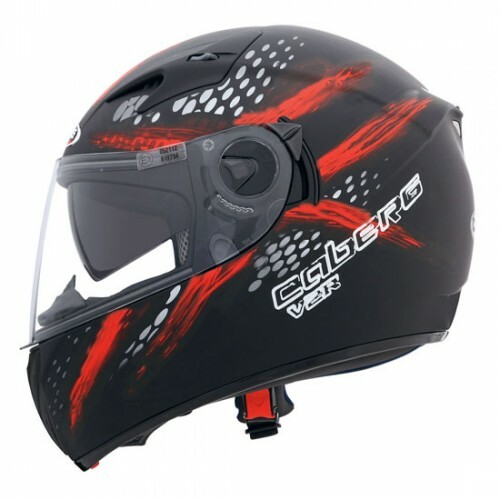 V2RR is the top of the range in the full face, thermoplastic helmets market for its technical details and the quality of the material used. As a perfect example of Caberg philosophy, the V2RR is equipped with a double visor system (Double Visor Tech). 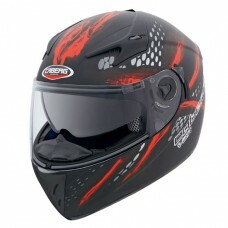 This exclusive system, offers maximum safety, because it allows the motorcyclist to choose the right light. A simple move and the smoke visor comes down for a comfortable and safe ride. Inside Lining: High tickness EPS liner. Completely removable and washable sanitized lining.